Do you need to sell your house fast in the University Area? We buy houses. Is this a house you inherited or are you looking to avoid foreclosure? Now would be the best time to do so. Charlotte’s city within a city, University City, continues to offer expanding job opportunities, entertainment and shopping attractions. 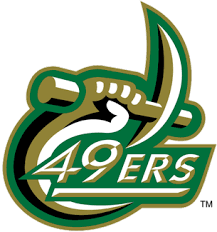 And we can’t forget to mention the UNC Charlotte 49ers basketball and football teams. Things are on the move in University City. What does this mean for someone who needs to sell their house fast? There are people looking for affordable homes. We are buying homes in the University City area no matter the condition. Selling your own home without a realtor is possible. We make it simple. And you don’t have to be stuck with a home you don’t want or that you need to sell fast. When you need to act quickly to stop foreclosure or sell a home in probate you can avoid the hassles of trying to sell your house by owner. JMS Home Buyers can help. We don’t provide expert tips to sell your house fast we buy houses for cash. We are buying houses in Charlotte with cash. Our job is to make the selling process simple and give you fast results. We are buying homes in any condition. We buy “ugly houses”, home that need repairs, homes in probate, and we buy rentals with tenants in place. If you are looking to sell your house fast we can help. Let’s start with a conversation today and give you a fair offer immediately. No hassles and no obligations.